DaringOne,A professional Customize doormat company. It will keep your home clean and without tracked in dirt, water and debris. keeps floors clean and dry and keeps mat from sliding or scuffing the floor. Super absorbent fibers soak up mud, rain, slush, dirt, dust, grime and snow & more. If any questions, please tell us, we will reply you in time. Happy Shopping. 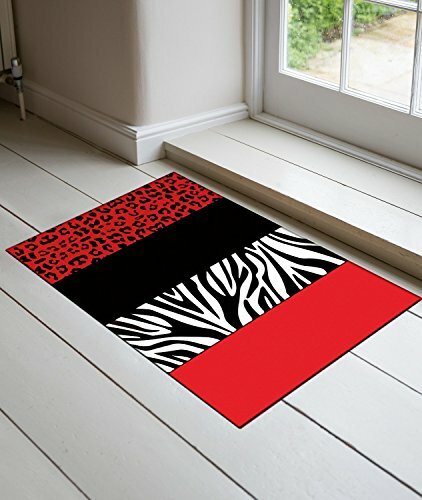 DaringOne Door MAT: Used for home decor, indoor front welcome mat and kitchen rug, floor mat, bathroom, bedroom, laundry, living room, back door, garage, patio entryway, porch door, office, industrial, commercial deal with high traffic inside or outside. ELEGANT & FASHION: - Waterable, decorative, personalized, rodeo, rustic, rectangular, stylish, fall decor, colorful, home sweet, waterproof is suitable for high trafific modern homes. VERY IMPORTANT NOTE: Please purchase this item from DaringOne ONLY. If you buy this product at a very low price from other new fake seller, you will never receive your item. If you have any questions about this product by DaringOne, contact us by completing and submitting the form below. If you are looking for a specif part number, please include it with your message.